Preparation is everything! 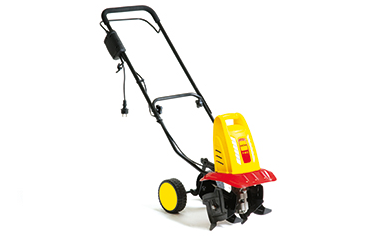 For that reason WOLF-Garten offers you many practical tools so that your garden will bloom well later and there will be plenty to harvest. And we have just the right thing for you if it snows. Now choose your equipment! For all the motorisation that is available nowadays - you still need good old spades and shovels. 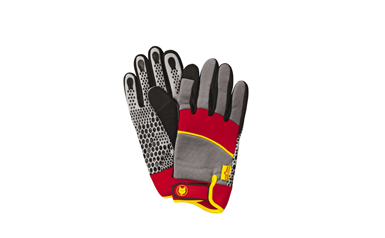 But of course, the solid and comfortable versions from WOLF-Garten. 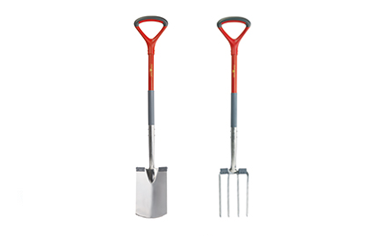 Whether you need to dig heavy clay soils or use the prongs for good aeration - you can find the right tool for the job here. 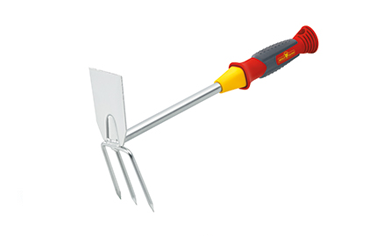 The small tools from WOLF-Garten are sized correctly so that you can work properly with pot plants and small flowerbeds. Everything from the trowel to the pointer to the weeding trowel - you can easily do a great deal of garden work with these solid tools. After the first storms of autumn, the leaves fall from the trees in large quantities. That is at the very latest the time to free gardens and paths of fallen leaves. 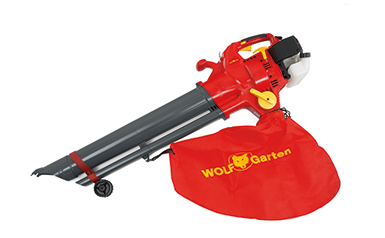 This can be done quickly and effortlessly with the light yet powerful WOLF-Garten leaf blowers. Choose between a model with a power cord or a replaceable power pack. Sticky fly residues on roof skylights, car or mobile home windows are not only annoying, but they also reduce visibility. 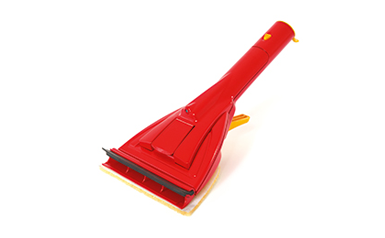 The Mosquito cleaner from WOLF-Garten quickly restores visibility. 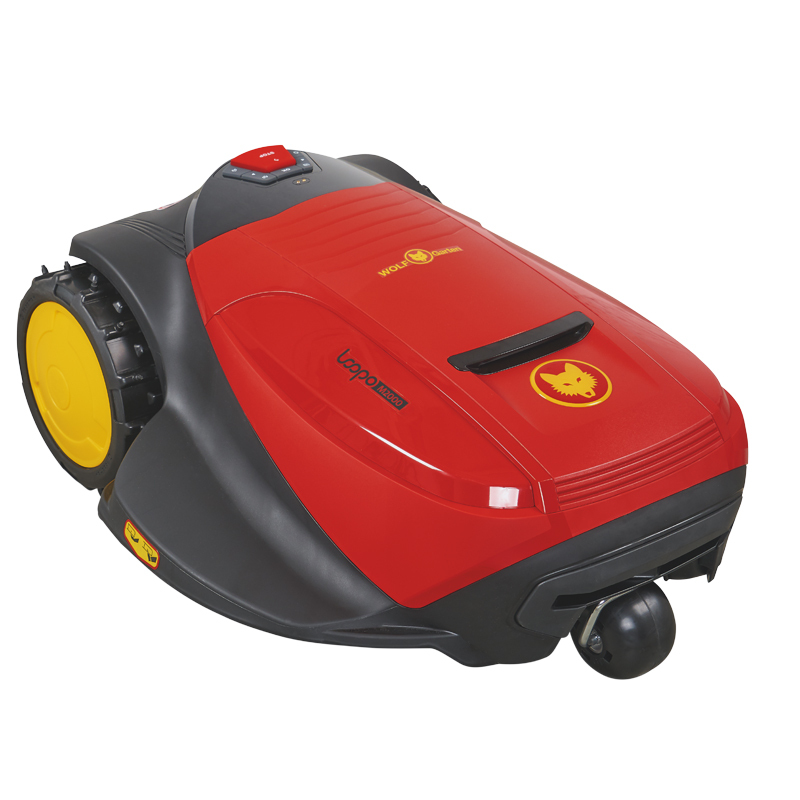 Thanks to the Velcro closure you can quickly change the cleaning pad, and the built-in water tank holds at least 150 ml. 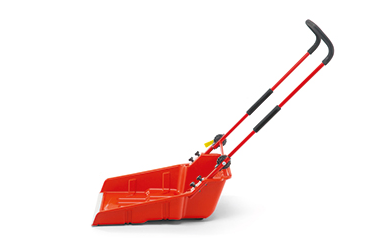 You need strong helpers if there has been a lot of snow. It is better if you can do the clearing with motor power instead of muscle power. 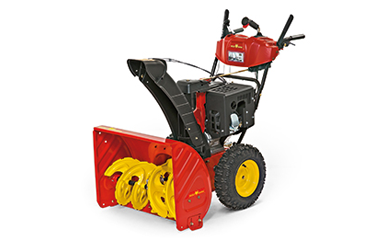 WOLF-Garten offers you four powerful snow throwers: from the powerful entry-level model up to the high-power version for larger amounts of snow.